AJ's Deer Valley Real Estate 2016: Ski Season begins in Park City! Ski Season begins in Park City! Opening Day PCMR... 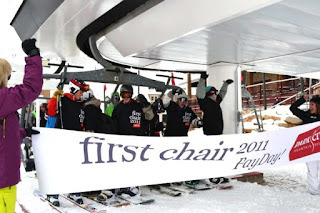 Yes, I was there in line on Park City Resort's opening day, November 19, although I didn't make first chair. The six who did, camped out a-la "Occupy Payday Lift", starting at 3pm the day before, just for the honor and the limited edition t-shirt! Snow is remarkably good, if limited, and now Bonanza lift is also open. Deer Valley opener is December 3! 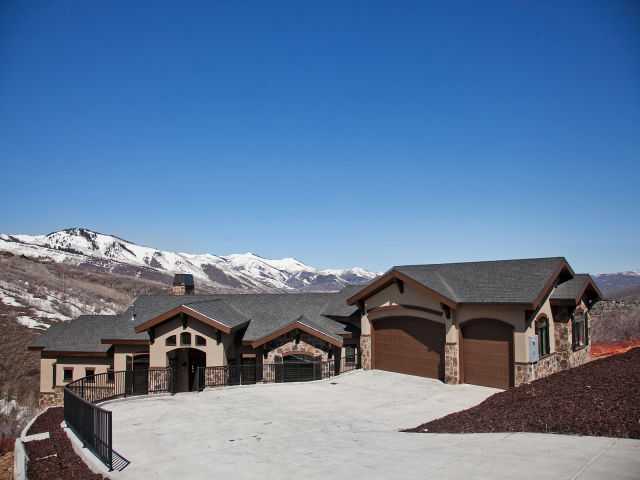 The spec home at 3351 Solamere Drive in lower Deer Valley sold and closed last week at $1.5m. This home was originally purchased unfinished from the bank by a Salt Lake investor, completed last fall, and finally re-sold. Great view lot, although a challenging floor plan and kitchen. OK, a brand new Deer Valley home for $270/sf... not bad for the Buyer! Home sales are still soft in lower Deer Valley, it will take a few more sales this season to stabilize. With 8 sales so far this year, dollar sales volume in the lower DV areas is still down 40% over last year YTD, while volume in Upper Deer Valley areas is more than double last year to date! Proudly Selling Deer Valley & Park City Real Estate since 1986!